State Bank of India (SBI), the country’s largest lender by assets, has reduced its interest rate by 10 basis points or 0.10 per cent on home loans of up to Rs. 30 lakh, a move which is likely to provide some respite to home loan borrowers. The revised rates on home loans or housing loans are applicable from Wednesday, April 10, according to a statement from the bank. SBI’s reduction in home loans rate comes nearly a week after the Reserve Bank of India (RBI) cut the repo rate by 25 basis points from 6.25 per cent to 6 per cent. Repo rate is the interest rate at which the central bank lends money to commercial banks such as SBI. State Bank of India (SBI) on Wednesday reduced its MCLR by 5 bps across all tenors and slashed interest rate on home loans up to Rs 30 lakh by 10 basis points. One-year MCLR will be 8.50% per annum (pa). The interest rates on all loans linked to MCLR stand reduced by 5 bps from April 10, 2019, India’s largest lender said in statement. Now the applicable interest rate for such housing loans below Rs.30 lacs will range from 8.60% p.a. to 8.90% p.a prior to the rate cut decision range for rate was 8.70% p.a. to 9.00% pa.
SBI has linked its Cash Credit /Over Draft rates above Rs one lakh to the repo rate for better transmission of RBI’s policy rates. The benefit of reduction in repo rate by 25 bps by RBI (from April 04 2019) will get passed on in its entirety to CC/OD customers banking with SBI from May 01 2019, it added. SBI has linked its Savings Bank rates to the repo rate. Thus the saving bank rates shall also stand revised from May 01 2019. For balances up to Rs one lakh rate will be 3.50 per cent p.a., comprising almost 95% of SB account holders. The interest rate on SBI housing loans or home loans below Rs. 30 lakh now stands in the range of 8.60-8.90%, from 8.70-90% earlier. With effect from today, SBI also reduced its benchmark marginal cost of funds-based lending rate (MCLR) by 5 basis points (0.05 per cent) across all tenors. The marginal cost of fund-based lending rate, or the MCLR, now stands at 8.50 per cent for the one-year tenor, down from 8.55 per cent, according to the SBI statement. This is the first reduction in MCLR by SBI, which controls and sets the pricing in the system, in more than 17 months. The last time it had reduced the MCLR was in November 2017 by 5 basis points, according to news agency Press Trust of India. 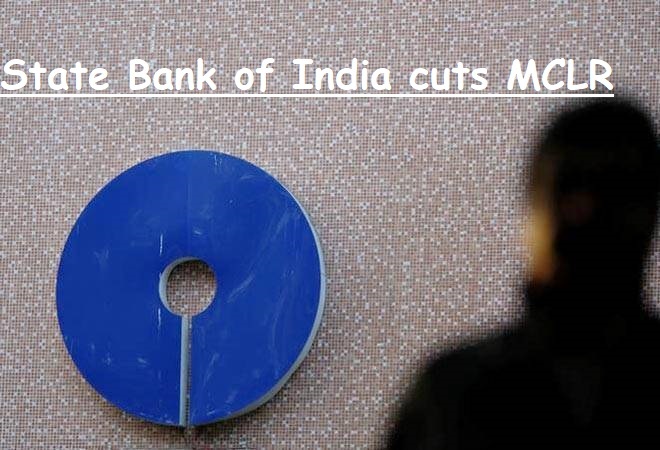 While IOB said it has cut MCLR for one-year loans to 8.65 per cent from 8.70 per cent, Bank of Maharashtra had cut MCLR rates by 5 basis points across various tenors. Meanwhile, the bank has linked all cash credit accounts and overdrafts with limits above Rs. 1 lakh to the repo rate, according to the SBI statement dated April 9. Accordingly, for balances up to Rs. 1 lakh, the savings bank rates would be 3.50 per cent, while for balances above Rs. 1 lakh effective rate would be 3.25 per cent, with effect from May 1. FundsTiger is an Online Lending Marketplace where you can search for and avail Fast and Easy loans from almost all the leading Banks and NBFCs. You can Apply for Loans with Best possible Rates of Interest and terms for Personal Loan, Business Loan , Home Loan and Car Refinance Loan.